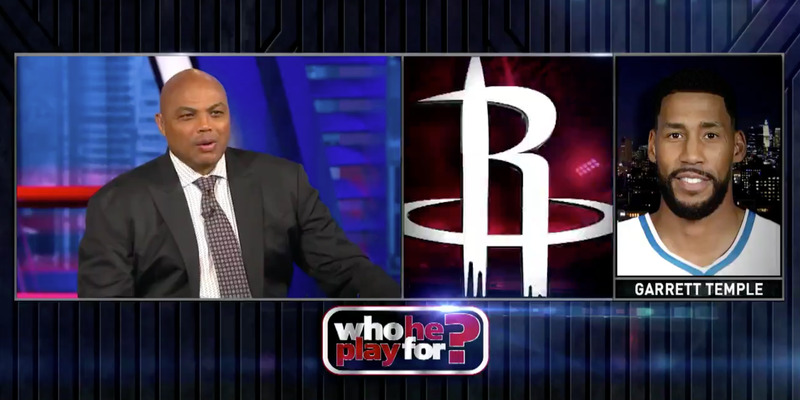 @NBAonTNT / TwitterCharles Barkley is not up to date with the latest roster changes in the NBA. “Inside the NBA” returned with the start of basketball season, meaning Charles Barkley is back on television. A week ago, Barkley was asked to match NBA players with their current teams in a segment called ‘Who He Play For?’ and was only able to answer one of his five questions correctly. On Thursday night, Barkley was challenged again with the same five players, and once again failed miserably. The NBA is back, and with it, the greatest team in sports broadcasting – the TNT’s “Inside the NBA” crew of Ernie, Shaq, Kenny, and Charles Barkley. “Inside the NBA” is known for its free-flowing conversations and hilarious sound bites, mostly courtesy of Charles and Shaq. Last year, the crew’s antics included starting a feud with the Golden State Warriors and Shaq chasing Barkley with a catfish. This year, the show got off to another thrilling start. At the beginning of each season, host Ernie Johnson cues up a segment titled “Who He Play For?” during which Barkley is asked about a series of NBA players, with Barkley simply needing to answer with the team they currently play for. The segment is brilliant because Barkley is terrible at it – just a week ago, Barkley correctly paired only one of five players with his current roster. Now comfortably a week into the season, one might have thought that Barkley’s embarrassment was over, but on Thursday night’s edition of “Inside the NBA,” Johnson surprised Charles by running the segment yet again, challenging Barkley with the same five names he failed so miserably with just a week before. Take a look below to see how it went. Barkley still only manages to place one player on their current team correctly, and somehow, it’s a different player than the one he got right a week ago. Despite likely being one of the highest-paid men in sports television, and being featured as a high profile analyst of the game he loves, Charles Barkley simply cannot be bothered to learn any team’s lineup deeper than six guys. Better luck next week Chuck.